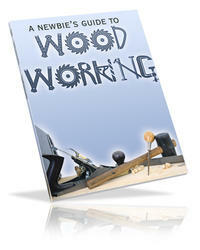 Expert craftsman Tom Donahey shares his plans for an essential tool to work green wood. Few woodworking experiences are as sweet as working wood that's just been split from a recendy felled tree. 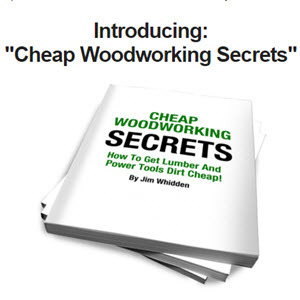 Green wood is much easier to shape with hand tools than wood that's been dried. It has a pungent odor and soft texture that make it all the more pleasurable to handle. Simple utilitarian items, such as chairs, benches, rakes and so on, have long been made from green wood. All you need are a few basic tools and one essential device for holding the work: a shaving horse. I've always wanted to build a shaving horse. When I started thinking about how to make one I turned to Drew Langsner, an expert in green woodworking (that's Drew, at left). Drew has been an inspiring instructor of the craft for over thirty years, and runs Country Workshops, a school in North Carolina (see Country Workshops, page 66). Drew introduced me to Tom Donahey, who makes shaving horses for students at the school and also sells them on the school's website. Tom has created an elegant design. "When I got into green woodworking, I already had a shaving horse," Tom said. "It was the old style, big and clunky. I took a class from Brian Boggs, the well-known chair-maker from Berea, Kentucky, and he had brought along his own shaving horse. It was much better than mine. With Brian's permission, I took photos of that horse, went home, and studied its construction." Brian had developed a new feature: an adjustable, ratcheting work support (see photo at right). Drew suggested a futiier change: use a treadle instead of the traditional cross bar for applying foot pressure. "It's much more comfortable," he said. Tom built a few horses, with Brian's permission, and started refining the design. Over the years, Tom has built more than 100 horses and sfreamlined their production. Tom has graciously allowed us to publish his design. To set up the horse, place your work-piece on the work support. Then, raise the work support up to the clampingjaw, which is free to rotate. The work support will click into one of eight different height positions, to accommodate thick or thin work. It's locked by a pivot that engages a series of ratchets on the work support's column. 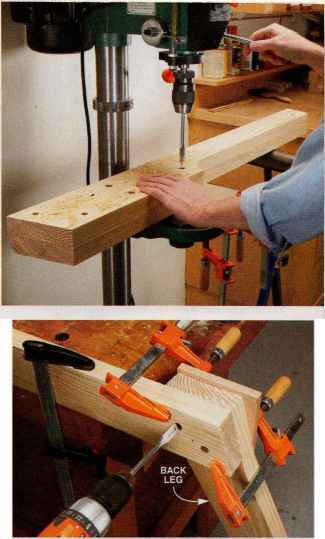 To clamp your workpiece, push the treadle forward with your foot. This swings the lever arms, squeezing the clamping jaw against the workpiece. All that sounds quite complicated, but this sharing horse is as easy to operate as stepping on the brake in your car. It only takes a few seconds to release die clamping pressure on a workpiece, reposition it, and go back to making those glorious, huge curls. 1AII of the parts for this shaving horse can be cut from southern yellow pine construction lumber. It's a durable, strong wood that's relatively inexpensive, but you could substitute many other hardwoods, such as maple or oak. 2 Cut both back legs from one long blank. Adjust your miter saw to a 15-15 compound angle, then place the blank to the left of the blade and cut the right end. Slide the piece over to cut the middle, then cut the left end. 3 Stand the two back legs together as a mating pair, then lay out the same cut on each leg, going in opposite directions. 4Turn over the legs and bandsaw them. This is a simple, straight cut, with the table set at 90 degrees. It looks odd from this angle because the end of the leg is a compound miter. You can make this shaving horse out of any strong wood, such as oak, ash, hard maple or Douglas fir. Tom Donahey uses southern yellow pine construction lumber because it's economical, strong and relatively lightweight. He's figured out a way to get virtually all the parts of a shaving horse from one 10 ft.-long 2x10 (Photo 1, left, and Fig. L, page 69). Tom selects clear, straight-grained stock for maximum strength. Southern yellow pine isn't his top choice for the horse's ratcheting mechanism, however. These pieces take a lot of stress, so he uses hard maple for the pivot piece (K) and sycamore for the ratchet (F). 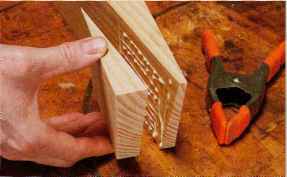 Any wood that's hard to split is suitable for these pieces, though. A wood that's hard to dent, such as maple or white oak, is preferable for the rotating jaw (L), which clamps down on a work-piece. You'll need a small amount of 3/4-in. Baltic birch plywood for the work support (Q), seat (R), treadle (S) and treadle cleat (T). 1. If you're making the horse from a 2x10, it into three pieces: 4 ft., 4 ft. and 2 ft. long (Fig. L). 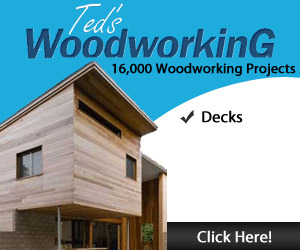 As with any project, parts are easier to mill and join if the wood is flat and straight. If you use southern yellow pine construction lumber, chances are that it's neither flat nor straight. Run these pieces through a planer or drum sander before making any further cuts. It's OK if they end up less than 1-1/2-in. thick, as specified in the cutting list (page 69), as long as they're all the same thickness. Glue the offcut onto the opposite side of 'the leg it came from, and you're all set. How to build a shaving horse? How to make a shave horse? How to build a shave horse plans? 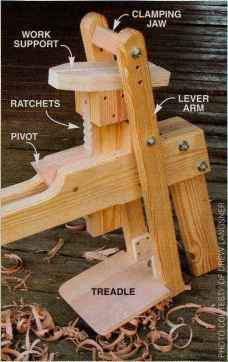 How to build a small shaving horse? How to make a shaving horse plans? How to make Shave Horses? How to build a shave horse bench plans?